Gulzar has helmed several celebrated films in his career. 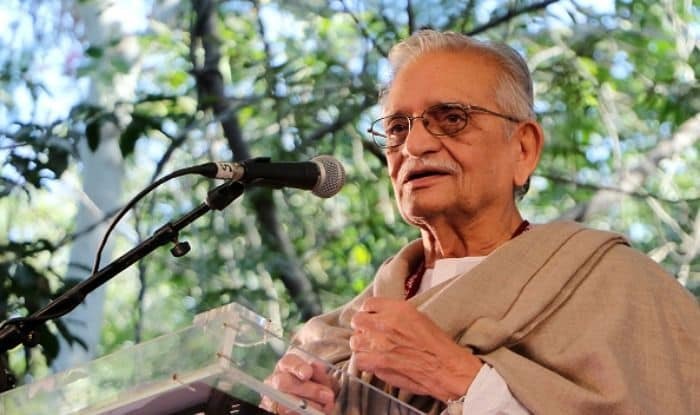 Eminent lyricist-filmmaker Sampooran Singh Kalra, better known by his pen name Gulzar, has said that he does not see the need to return to film direction as the new generation is doing a much better job of it than him. Speaking at the trailer launch of an animated film, Gulzar said now is the time for young filmmakers, who are making movies “more cinematic” and are way ahead of him when it comes to it. Gulzar, who has helmed several celebrated films in his career such as Ijaazat, Aandhi and Angoor, with his last directorial being Hu Tu Tu in 1999, was asked by reporters if he plans to return as a director. “I don’t need to return to films because the ones who are walking ahead of me, whose fingers I am holding, they are Shilpa (Ranade), Meghna (Gulzar), Vishal (Bhardwaj). They are making good films, Vishal has made a film on children, Meghna had made films on relevant topics too. Let me sit back. They are making films which are better than me, cinematically,” he was quoted as saying. “I might’ve had some thoughts earlier in my films but they weren’t so cinematic and good as these films are now, made by this generation. I think they are much ahead of me, I can’t pace off that fast,” he stated. Gulzar, 84, who last penned dialogues and screenplay for Mirzya in 2016, said he is doing his own by penning books and writing for children, and that he would rather be the carrier of good literature from one generation to the other. The lyricist-director was speaking at the trailer launch of Goopi Gawaiya Bagha Bajaiya, an animated film directed by Ranade and which is based on the characters Goopy and Bagha, created by acclaimed director Satyajit Ray’s grandfather Upendra Kishore Roychowdhury. “This story was written in 1915 and nearly 103 years have passed by and it has come down here. So I want to keep flowing the culture of our country, make it reach you all. You pick it up and then take it forward because my turn has gone. Film is not the only medium to work for children. There are so many others and all have to be looked after. Animation is a very big medium where you can make wonderful, meaningful and entertaining films,” he added. The film is scheduled to be released on March 1, 2019.